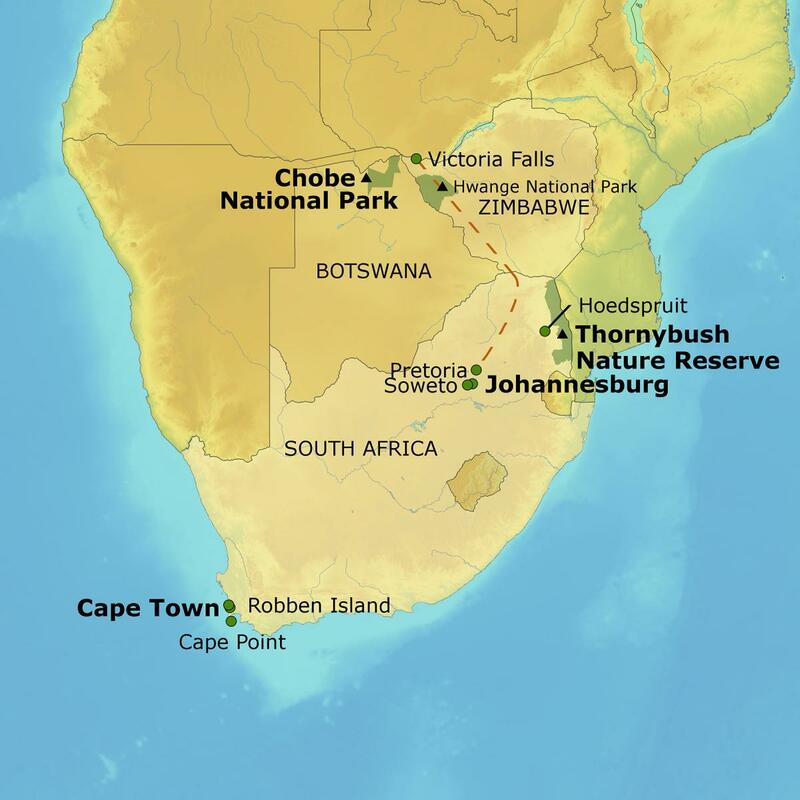 Travel to southern Africa and experience its tribal cultures and modern cities. From Cape Town, visit Table Mountain, the Cape of Good Hope and Robben Island, where Nelson Mandela was imprisoned. Sight big game with naturalist guides in Thornybush Game Reserve and visit Soweto Township to meet young people engaged in a youth center. 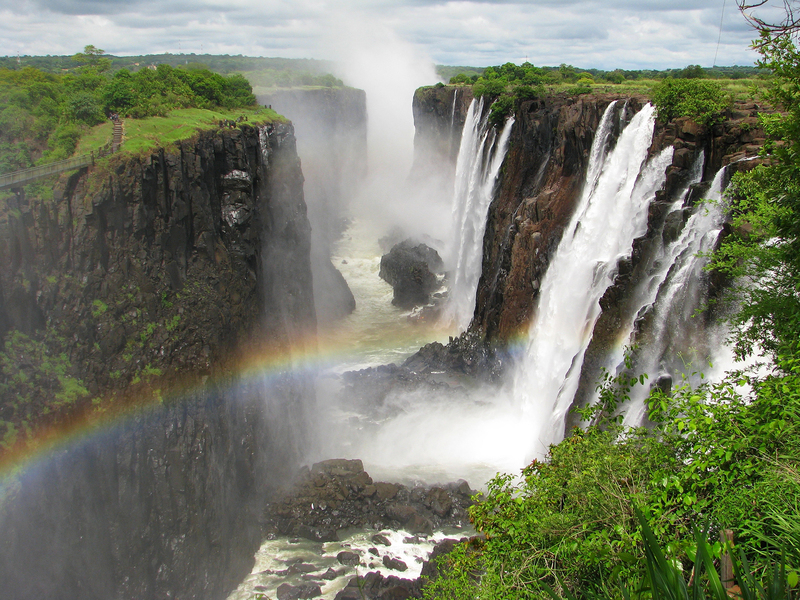 Travel through South Africa and Zimbabwe aboard the vintage Rovos Rail to marvel at the power of Victoria Falls and track wildlife and explore the rich ecosystems of Chobe and Hwange national parks. Throughout, enjoy deluxe accommodations and an extensive meal program including wine with dinner. Please note: Deposits are based on a per-person basis. Deposits vary based on the tour operator. Refer to specific trip brochure for deposit amount. If you would like to charge your deposit, please fax your credit card information to us at 520-621-9030. Or call our office to secure your deposit. Please note: We accept all major credit cards (Mastercard, Visa, American Express, & Discover). AHI, Go Next, Gohagan & PrimeSport only accept Mastercard and Visa. I/We have carefully read and accept the general information explaining the terms and conditions for this trip found in the trip brochure. For more information and reservations, please contact our director of UA Alumni Travel, Lisa Valentine, at lisaval@al.arizona.edu or 520-621-5333. Or, simply submit your name and email address below and she will reach out to you.